Losing patent protection on one of its drugs means heavy financial losses for a pharmaceutical company. EvaluatePharma, the online pharma and biotech analysis source, estimates that over $267 billion worth of sales is at risk from patent expirations from 2011 to 2016. The batch of 2012 expirations contributes significantly to that total. When drugs lose patent protection, significantly lower priced generics are quickly introduced which results in declining sales for the brand-named versions. As this comparison [pdf] shows, consumers stand to save alot on their prescriptions when equivalent generics are available. It had formally approved formulations of clopdiogrel from Gate Pharmaceuticals, Mylan Pharmaceuticals, Teva Pharmaceuticals, Apotex Corporation, Aurobindo Pharma, Mylan Pharmaceuticals, Roxane Laboratories, Sun Pharma, and Torrent Pharmaceuticals. It was only a few months earlier that the best-selling drug of all time, Lipitor, also for heart patients, lost its patent, and, with the loss of Plavix’s, in the number two spot, two mighty giants have fallen. 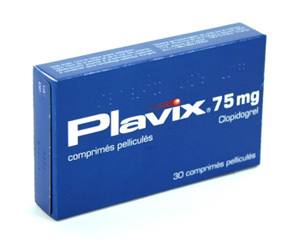 Made by Bristol-Myers Squib, Plavix earned the company $4.56 billion in 2010 U.S. sales. By 2011 Plavix sales accounted for almost half the company's earnings in the U.S., and about three-tenths internationally. Thus Bristol-Myers was loathe to let go of it. So the company bought itself some time. Plavix was originally set to go off patent in 2011, but the FDA grants extensions for companies to do research on children. Bristol-Myers went ahead and dutifully studied the role of Plavix on infant health. They discovered nothing of great significance, but did earn themselves a few more millions while doing their scholarly duty. 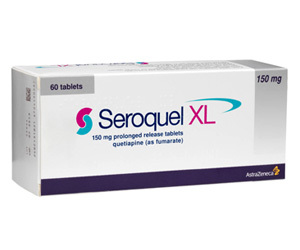 The first of two psychiatric medications on this list, Seroquel is an antipsychotic medication approved for the treatment of schizophrenia, bipolar disorder, and depression. It's the second-best selling antipsychotic in the U.S., losing the top spot to Abilify. Made by AstraZenaca, Seroquel earned the company $3.48 billion in U.S. sales in 2010, making up 40% of the company's pre-tax profits for the year. And profits kept climbing. As of 2011 U.S. sales of immediate-release Seroquel (IR) were $3.34 billion, with another $779 million coming in from Seroquel XR (extended release). That made it AstraZeneca's second best-selling product. The patent for Seroquel IR had already expired in September 2011, but the company had earned a 6-month extension for pediatric exclusivity, which took it to March 26, 2012. Before the March expiration date, the company began appealing. They were particularly put-out about an FDA ruling that generics wouldn't be obligated to carry the same warnings about suicidal thoughts and high blood sugar levels that Seroquel had to have on its inserts. But on March 26, AstraZeneca lost its appeal in court to try to extend its patent, and that very day Teva Pharmaceutical Industries, the maker of many generics, rolled out its generic version. By June 1st AstraZeneca's chief executive stepped down. What does remain, however, is longer-term market exclusivity for Seroquel XR, which AstraZeneca managed to hold on to until 2017. That allows for the possibility that the company can work to convince prescribing doctors and patients that the branded version is superior, and keep people in the branded ranks. "Within the two years following patent expiration, [we] will lose substantially all U.S. sales of Singulair, with most of those declines coming in the first full year following patent expiration," said pharmaceutical company Merck in its annual filing with the SEC. 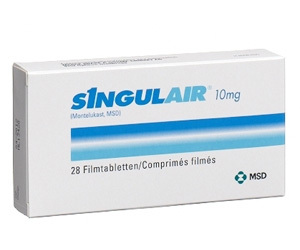 With $3.47 billion in U.S. sales in 2010 , Singulair, a drug that treats asthma, made up 11% of the company's revenue, a far smaller percentage than Plavix and Seroquel made up in their companies. And because Merck is the second largest healthcare company in the world, with more diversification, its 2012 loss of patent is not expected to cause as much financial damage as the losses of the other two. In fact, despite those projections that it will lose nearly all U.S. revenue of Singulair, the company's still predicting that sales will remain stable in the financial quarter after Singulair goes generic. But Merck didn't always greet the arrival of a generic for Singular with such equanimity. In 2009 Singulair was its best-selling drug, and Merck was in hotly-contested litigation with Teva over patent infringement. Singulair earned market exclusivity in 1996, and Merck fought hard to keep it, filing three suits in the U.S. District Court of New Jersey against Teva, in April, 2007, May, 2007, and January, 2009, claiming the drug maker had infringed its patent by filing to make generic Singulair. Merck did win, and the judge ordered the FDA to hold off market approval of generic Singulair until the patent's 2012 expiration date. It is set to go finally go off patent in August. Actos treats type-2 diabetes. 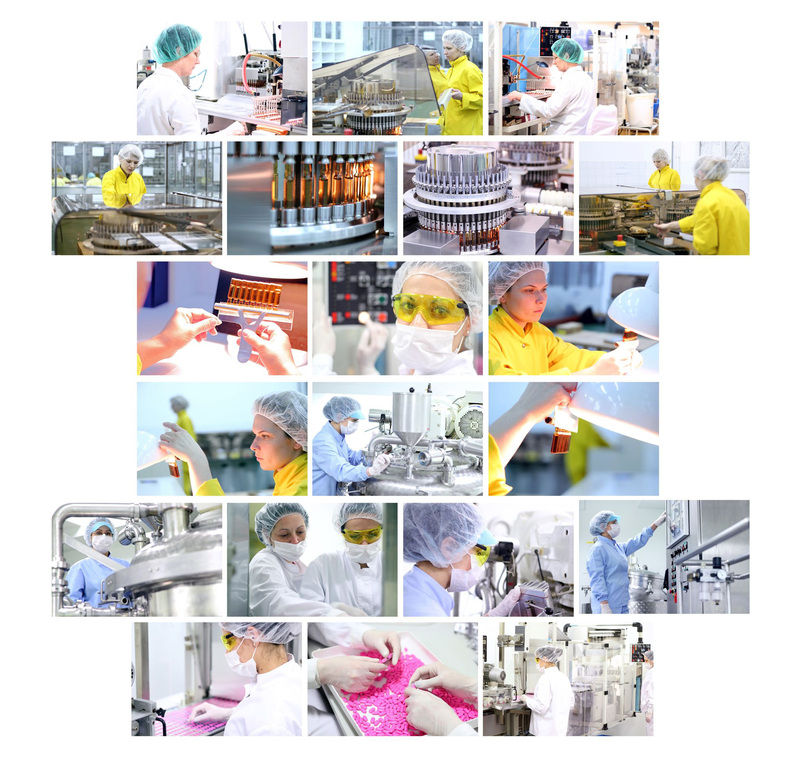 Made by Takeda Pharmaceutical, the smallest company on this list, it earned $2.78 billion in 2010 U.S. sales. When it loses U.S. patent coverage, it's poised to lose one-half of its American sales. Actos's patent actually expired in January, but Takeda negotiated with drug makers of the generic to let them keep their market exclusivity for another eight months, so it will formally lose patent in August. Poised at the ready are Ranbaxy Laboratories Ltd., Watson Pharmaceuticals, and Mylan Inc. 180 days later, Sandoz, Teva Pharmaceutical Industries, and a few others will follow suit with their generic copies. 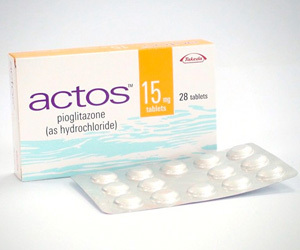 Actos sales have been declining already, partially due to the 2010 FDA announcement linking the medication to an increased risk of bladder cancer. Sales were already down by 23.6 % in March 2012. The loss of patent will make the situation even more dire. The company has said it expects its profits to fall by 40% in the next few years. In March, the mighty antidepressant and anti-anxiety drug Lexapro--the second psychiatric medication on this list-- lost its patent. Its maker, Forest Laboratories, was less than pleased about the event. Despite fines Forest had paid for promoting the drug for pediatric use when it was only approved for adults, the medicine was still a cash cow for them. Lexapro brought in $2.316 billion in U.S. 2010 sales, a full 52.63% of U.S. revenue. And because Forest sells Lexapro under license from Denmark's Lundbeck, all of its Lexapro earnings are from the U.S. market, meaning when the patent expires, Forest itself has no earnings from international markets to bolster its sales. 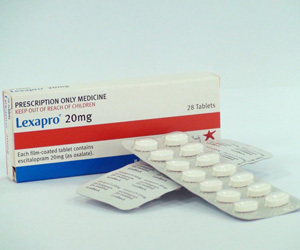 The company held out hope that price increases on the drug, coupled with growth in the antidepressant market, could keep Lexapro sales at $2 billion for 2012--but it's looking highly unlikely, and, in fact, the loss of the patent did turn out to be quite a serious blow. In March the FDA approved the first generic version, escitalopram, made by Teva. Teva holds the rights to be the only generic producer through September, at which point others can jump in. Forest's earnings from Lexapro dropped 81% in the first quarter, according to Businessweek. The company's net income dropped 79%. By the end of June, a company statement indicated that net income in the prior three months sank to $55.3 million, or 21 cents a share, from $258.1 million, or 90 cents, a year earlier. With drugs Novartis (Diovan), Provigil (Cephalon, bought out by Teva), and TriCor (Abbott Laboratories) also losing patent in 2012, it's a tough year for pharmaceutical makers, who will suffer staggering losses--but may turn out to benefit consumers, with lower prices and more cooperation from insurance companies. When will Advair lose its patent??? "Advair Diskus lost patent protection in the U.S. in 2010. However, various patents over the special Diskus delivery device still hold in the U.S. up to 2016, and ones for the DHFA device exist until 2025. Additionally, to GSK's great advantage, generic forms were delayed due to some foot-dragging by the Food and Drug Administration when it came to deciding a standard for equivalent dry powder inhalers. Given the patent on dispensing technology and the FDA concerns about equivalency, there were distinct challenges that delayed the initial run of a generic as soon as Advair lost patent, buying GSK time and money." Having these drugs go generic may be helpful for some but people with ins. thru the company they work for or are retired including drug coverage,it is hurting. Ex. I received a 3month supply of Zertec for $8.00 as opposed to now having to pay $24.95 for a 25 dy. supply.